From Snickers’ point of view, skipping its YouTube preroll ads is just as bad skipping one of the Mars candy brand’s chocolaty treats when you’re hungry. 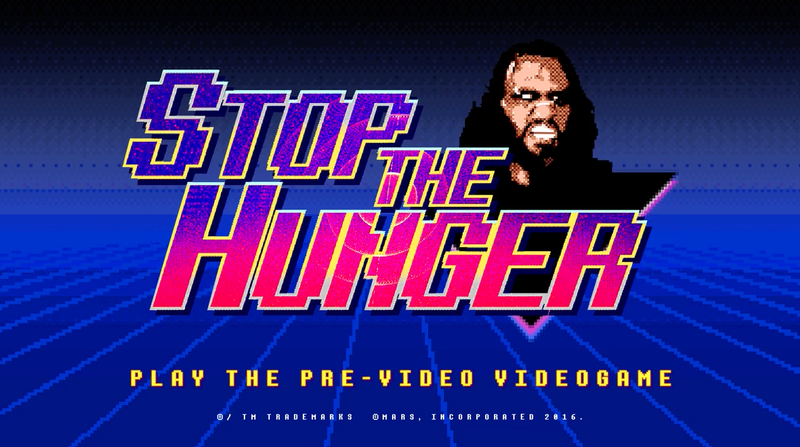 So, to boost viewer engagement in the prerolls, Impact BBDO in Dubai just unwrapped “Pre-Video Videogames”—ads you can actually play that are also packed with loud, silly hunger scenarios. In the first spot below, a school-bus driver behaves like a crazed WWE wrestler because he hasn’t had a nosh. Users hit pause to try to help him snag Snickers bars that sail across the screen. Dude looks like a caveman. And he certainly shouldn’t be driving while munching on a Snickers. Think of the children! Has that guy been working the Australian Open? Rumble-tum officiating might explain those big upsets. The results are diverting in a bone-headed kind of way, but will viewers really find this stuff unskippable?